That didn’t take long. Just a week after Peter Thiel’s foundation announced its second class of fellows, its first one just had its first exit. James Proud, who hails from South London, just sold his company GigLocator to Peter Shapiro, the owner of the Williamsburg-based Brooklyn Bowl. The price wasn’t disclosed, but Proud said it was an “asset” sale. “I’m very happy with it. The Thiel fellowship has enabled me to sustain myself for the past year and this will allow me to sustain myself for awhile,” he said. 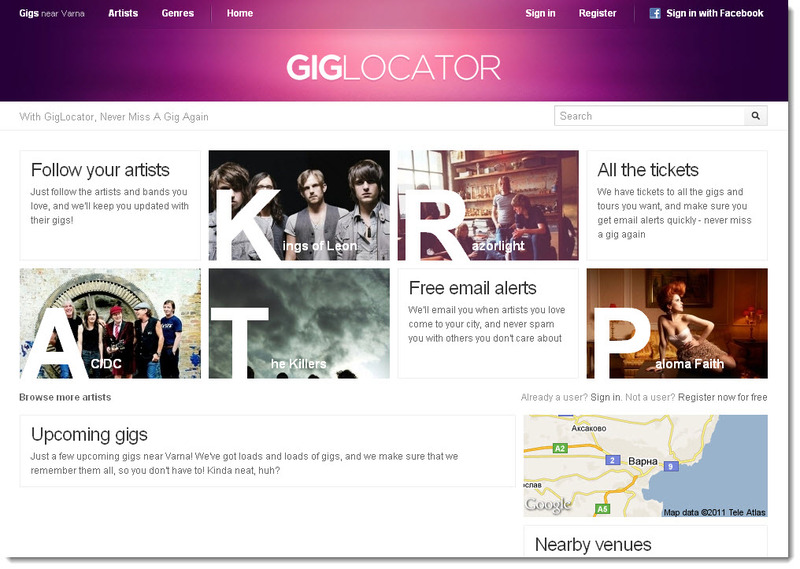 GigLocator was a live music aggregator, that had worldwide listings from major ticket providers and independent venues. Its competitors included companies like Index and Sequoia-backed Songkick. “When I first moved out here through the fellowship, I had already decided that GigLocator was going to be put on the back foot,” he said. “I was unsure of what I was going to do next.” Proud said a mutual friend in the music industry introduced him to Shapiro and the deal happened over six months. Now after working on a few projects with the mentorship of Paypal co-founder Max Levchin, he’s moved onto his next thing. He’s keeping tight-lipped about his next company though as he’s still building out the product and the team. Proud taught himself how to build and code projects while growing up in a not-very-posh part of South London called Sutton. His mom worked in human resources, while his dad is retired. He taught himself programming at age 9 and launched GigLocator at just 18. He came over to San Francisco through the Thiel Fellowship, which gives $100,000 to promising people under the age of 20 to forgo college to work on personal projects. They get the help of Silicon Valley mentors and entrepreneurs. Some of them end up working on consumer web products, but many others work on biotechnology research, clean energy or poverty alleviation.